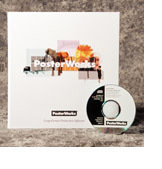 WHAT'S NEW in POSTERWORKS® 5.0 for MACINTOSH? Layouts up to 250,000 square feet -- The user can specify a layout up to 500 x 500 feet in size (150 x 150 meters, 23,000 square meters). Layouts can be printed as one panel or broken into any number of variable sized panels. Layouts can also be broken into small tiles which can then be assembled on a larger panel (see nesting below). Nesting -- The user can specify dimensions of a master panel, and a layout made up of many fixed and variable sized panels. New nesting features provide options to pack numerous tiles or panels of a job into one or more master panels. For example, the program can pack three 12 x 80 inch and two 12 x 40 inch vertical slats into a single 36 x 80 inch master panel. As another example, the program can print four 4 x 4 inch tiles on a single 8.5 x 11 sheet of paper. Options for nesting include best-fit, row/column and auto-rotation for absolute optimization. Extended Reprint Controls -- The user can reprint individually selected panels, selected groups of panels, or (if nesting) entire nest sets of panels. Print Direction -- The user can specify the output direction, head-first or tail-first for each panel on the layout. Or, the user can instruct PosterWorks to automatically alternate printing head-first and tail-first. This feature significantly reduces noticeable differences in printer ink density between adjacent panels, normally attributed to a common failure of print mechanisms to guarantee toner consistency across the print platen. Extended Artwork Resize Controls -- When enlarging artwork, the user can choose to either A) limit artwork size to layout edges, B) add new tiles to suit artwork size, or C) maintain the same number of tiles but rather enlarge sheet size to full dimensions of enlarged artwork. Also, newly placed artwork that is larger than the existing layout can either A) be scaled within the existing layout, B) have tiles added to suit artwork size, or C) have sheet size enlarged to accommodate artwork size. Extended Panel Resize Controls -- When specifying a new panel size, the user can choose to also enlarge layout size and printer sheet size. Insert Panels -- The user can insert any number of rows or columns of panels before or after any other row or column. Delete Panels -- The user can select and delete any existing rows or columns of panels. PostScript Optimizations -- PosterWorks creates streamlined PostScript output for all PS RIPs (interpreters), bypassing Macintosh operating system limitations in order to produce large-format, variable page size jobs. Open Prepress Interface (OPI) Version 2.0 -- PosterWorks generates comments for automatic replacement of high resolution images on OPI 2.0 compliant servers. Keyboard Shortcuts -- Many command-keys added to open and close dialogs from keyboard. Nudge Tools -- Arrow keys and menu options allow user to nudge position or crop box of artwork. Variable Cropmark Width -- The user can specify linewidth of cropmarks and registration marks. Scrolling Measurement Tool -- The user can click and drag across a layout to take and set a specific point-to-point measurement. Using OSX? PosterWorks 5.0 is exclusively compatible with OSX as a Classic application. PosterWorks is not compatible with the native OS X environment (without Classic support). Ready to upgrade? Click here to view pricing and order information.. Interested in PosterWorks for the Microsoft Windows® operating system? PosterWorks for Windows is available as a separate product. With the release of PosterWorks 5.0, registered users of PosterWorks for Macintosh can now purchase a cross-platform upgrade to the Windows platform! Click here to view pricing and order information.. Copyright © 2013 S. H. Pierce & Co. All rights reserved.